We are sure that you have heard it many times from your dentist, but oral hygiene is more important than many people give it credit for. Beyond simply looking good, caring for your teeth is important for a wide variety of health-related reasons. And your teeth are not simply related to oral health, but overall health. If you put a good deal of effort into caring for your teeth, you should also consider the dental hygiene of your four-legged friends as well. Your dog deserves to have a clean mouth with rows of healthy teeth just as much as anyone else. It is for this reason that we will be giving you some tips on maintaining your dog's oral health today. Some may be surprised to hear that your dog's oral hygiene can have far-reaching effects on their overall health. 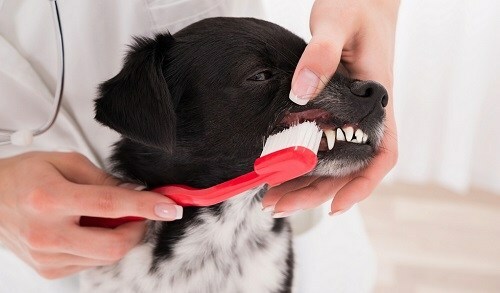 Clean teeth go a long way towards ensuring your dog's health for several reasons. The first of these reasons have to do with tooth infections and their effect on other parts of the body. When your dog gets a tooth infection, it will not be restricted to just the area of its mouth. A tooth infection is a dangerous condition which can have negative effects on many parts of the body. This can include the brain and the heart. In the worst cases, a severe dental infection can spread to cardiac muscle and result in a heart attack and death. This is the main mistake that is made when some are dismissive of oral health. While teeth can certainly be repaired, it will cost a large amount of money, and it will take many painful operations. Most people do not have this kind of money to spend on their dogs. 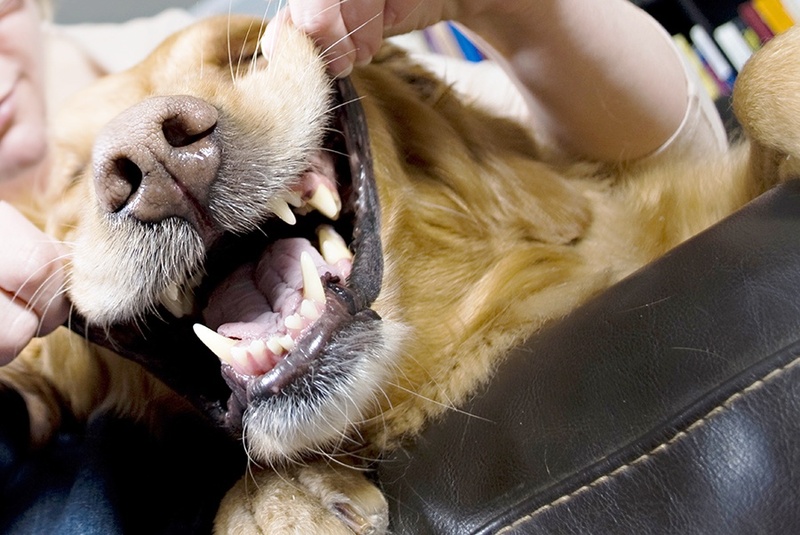 Neglecting your dog's dental health can result in a lifetime of pain for them. If your dog’s dental health reaches a point where the pain is rather excessive, you will find that your dog may suffer from a loss of appetite. Imagine having to eat with several cavities or toothaches. A dog which suffers from an excess of dental problems will often have difficulty eating even the most basic of meals. This loss of appetite can result in you needing to alter your dog's diet in the best case scenario, or a visit to the vet to see what can be done in the worst case scenario. A visit to the vet in these circumstances could result in a rather pricey bill to keep your pet healthy. How To Keep Your Dog’s Teeth Healthy? There are many ways that you can help your dog maintain good oral hygiene. One of the more common ways is to purchase snacks and treats which promote good oral health. These can include biscuits which will wear down the layers of plaque to clean dogs' teeth, dog foods with added ingredients, etc. Keep in mind that specially made snacks and treats are typically just preventative measures. If you find that your dog’s teeth are dirty and must be cleaned, you will often have to resort to brushing dogs’ teeth with dog toothpaste. There is indeed toothbrushes and toothpaste which is made specifically for dogs. You will need to purchase these products if your dog has bad oral hygiene. This is not always the case with every dog, granted that they are fed a healthy diet, so it is important to examine your dog's teeth before investing in these products. As you can see, brushing your dog’s teeth is not necessarily a difficult process as long as your dog remains cooperative. In the event of a dog which refuses to have its teeth brushed, there are other options at your disposal. If you find that your dog is not a fan of you brushing its teeth, you may have to resort to other options to keep its mouth healthy. There are professional dog teeth cleaning services which are offered for uncooperative pets. Sometimes your vet may even provide the service, so it helps to ask around if you are trying to find a fair price. These professional teeth cleaners will often be more expensive than getting the job done you, but sometimes that is simply not an option. This is especially the case when it comes to more aggressive dog breeds that do not enjoy being touched, or with dogs who have not had their teeth cleaned starting at a young age. While this will be a pricier option, you will find that it is more convenient in addition to being more thorough. Nothing can match professional teeth cleaning job unless you are highly practiced in brushing dogs' teeth. 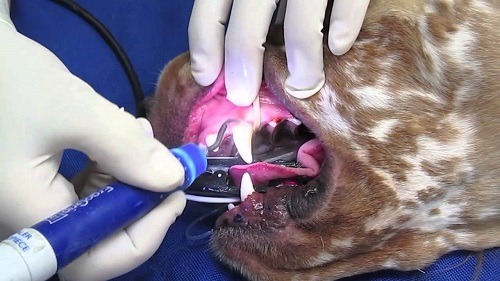 Think of it as a dental checkup for your dog. Professional teeth cleaners will often be able to identify any gum diseases or dental disorders as well. We hope that this article has been sufficiently comprehensive. When it comes to caring for your pet, it is very important to ensure that they remain healthy no matter what. Dental health has a larger bearing on your pet’s overall health than many people believe, and good teeth are only a small part of keeping your dog happy and healthy.